Share The Love This Valentine's Day With Hallmark! Special occassions require special gifts for the ones you love and Hallmark has just what you need to show someone you care this Valentine's Day! I am proud to announce I am part of the Hallmark Canada blogger panel. Which means I get exclusive access to whats new at Hallmark Canada and share it with all of you! Hallmark cards inc is the world's largest manufacturer of greeting cards and other personal expression products and is dedicated to helping people connect in meaningful ways - whether with a card, a special keepsake or a recordable storybook. You can now connect with the important people in your life in ways that are more memorable than ever before. Hallmark wants Canadians to take the time to recognize and celebrate the moments that make our lives special. I like going into our local Hallmark store at the St. Laurent mall and checking out all the gorgeous things they have available for every occasion. This Valentine's Day, Hallmark has a wonderful assortment of gifts to give those closest to you and show how much you care! Send a love message on Valentine's Day morning with the Love Cup with Marker. Love notes take a whole new dimension when displayed on this ceramic cup. Just love, write and pour. Erase and repeat day after day to make sharing your love part of your heart-healthy routine. Speaking of notes, the heart shaped Marjolein Bastin Die-Cut Heart Memo Pad features the classic artistic style of Dutch artist, Marjolein Bastin. This delicate nature design is sure to enhance even the simplest of notes. Disney's Lady and the Tramp is a classic family favourite in our house. To celebrate it's 65th anniversary you can gift the Doggone Sweet Lady and the Tramp plush set - a love for all time! Also available is the Lady and the Tramp hardcover book. Introduce your kids to one of the greatest love stories of all time! Have a giggle with the Hug-Lovin' Hippo Techno Plush! This hug hungry hippo dances and sings, telling the world how much she loves hugs. Give her a squeeze if you please and listen to her sing a clever parody of hit 90's song "Baby Got Back". So cute and so funny, this makes a great gift for kids and those kids at heart. One day an artist named Terry Runyan drew a little doodle. She gazed at the little girl she sketched and began to noodle. Isn't she cute? Who could she be? She's "Penny Paperheart", who gives away her paper hearts. That's what makes Penny so nice. Give the Penny Paperheart - Bakeshop mini playset. This playset includes Penny and her friend Patti, story card, paper outfits and enough material to make over 30 Hearts of Kindness cards and 12 small hearts to share. Wrap up your gift of love in a ready to go gift bag. These bags make it easy for you to wrap up anything from treats and sweets to apparel. A range of sizes is available and each one comes with tissue, just add your gift. Your kids can give Valentine's to their classmates with Kids Valentine's Day cards. From Frozeb and Star Wars to Avengers, Disney Princesses, Mickey Mouse Club and more, Hallmark has all the hottest Valentine's Cards this season. Each pack includes 32 cards, 1 teachers card and stickers. However you may celebrate this Valentine's Day and whoever you may want to spoil, Hallmark has what you're looking for. Check out the full collection by visiting www.Hallmark.ca. Show some social media love by following Hallmark Canada on Twitter and Liking the Hallmark Canada Facebook Page! WIN IT! > GIVEAWAY ENDED! 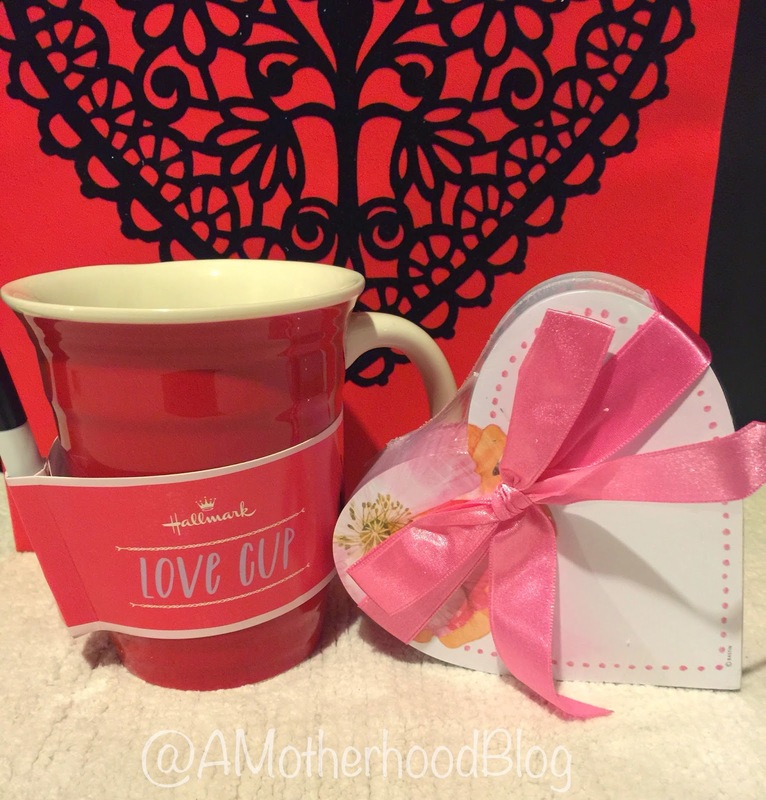 Hallmark wants to Share The Love with one lucky AME reader! 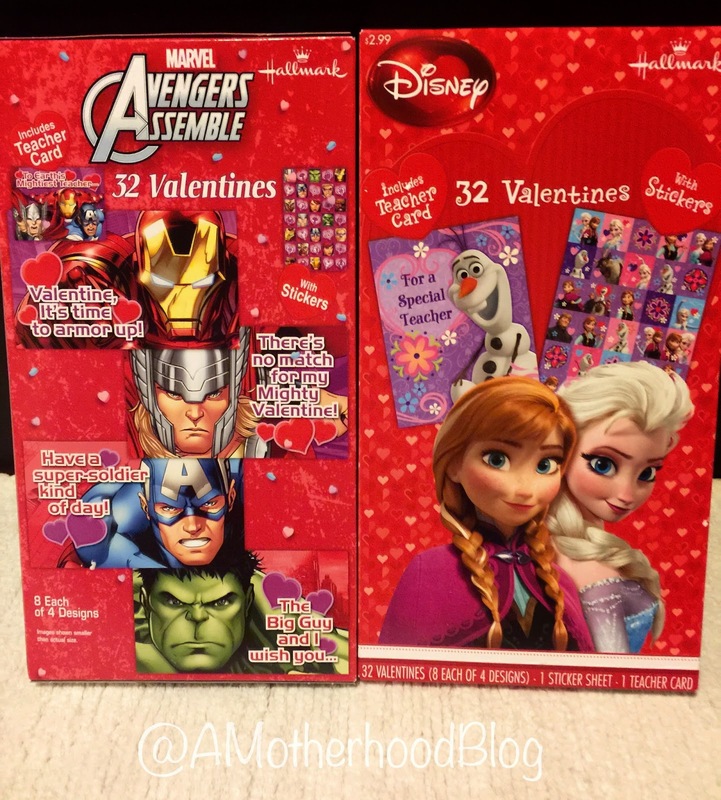 You can enter for a chance to win Avengers and Frozen Valentine cards for kids PLUS a cute Hug-Lovin' Hippo Techno plush, just in time for Valentine's Day! Enter using the ballot below! Open to CANADIAN residents 18+ (excluding Quebec). One entry per household using a valid email address. Mandatory entry must be done for extras to count. By entering AME giveaways, you understand your information is not shared unless you are drawn winner in which case is used for prizing purposes only by representatives of Hallmark. Privacy is important on AME. Posted in participation with the Hallmark Canada Blogger Panel. 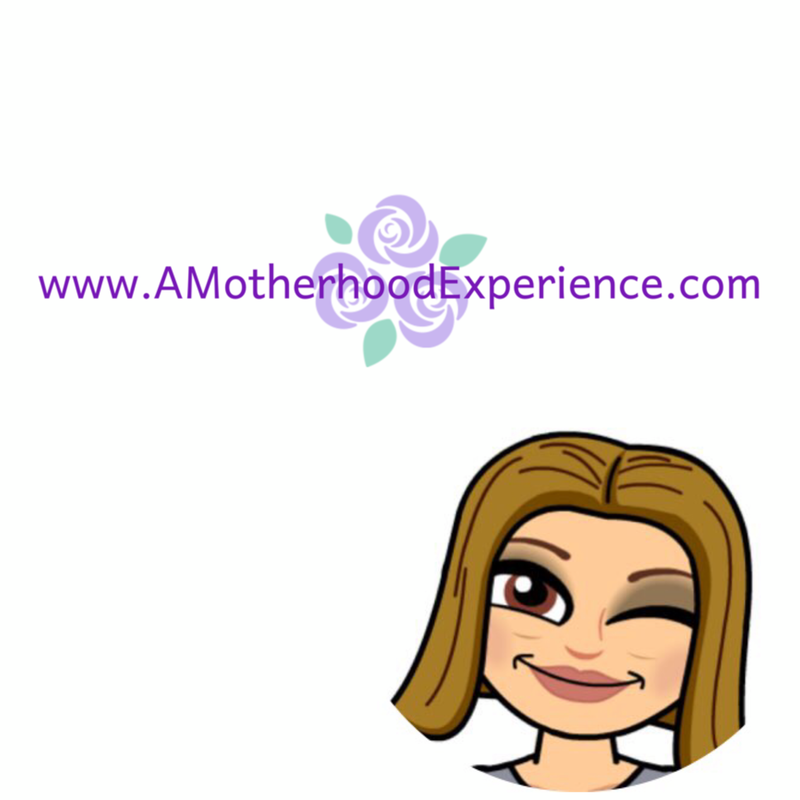 Complimentary products and perks are associated with my affiliation. Comments and opinions on this blog are those of the author. Hug-Lovin' Hippo Techno Plush is my favorite item because of the fact that it is set to the tune of Baby Got Back, haha! I would keep this for our family and proudly display it every Valentine's Day. I love the lady and the tramp stuff, i always joke to hubs that i want a lady and the tramp moment. it is a toss up between lady and the tramp and the hippo. both so cute. My favourite is the Hug-Lovin' Hippo Techno plush and I would give it to my son! The Hippo is so cute. My girls would love it! The Doggone Sweet Lady and the Tramp plush set is so adorable. I'd give it to my daughter. Doggone Sweet Lady and the Tramp plush set for my daughter! The Doggone Sweet Lady and the Tramp plush set!! I would give them to my lil guy!!! I really like the Penny Paperheart......my son would love to give that to his girlfriend! By far the Penny Paperheart - Bakeshop mini playset. I would give them to my children. We love our pups and Lady & The Tramp is a favorite. These would definitely make my daughters Valentine Day a enjoyable memory. Love Hallmark Stores! I love the Doggone Sweet Lady and the Tramp plush set and book .. I would give this to my daughters. PLUS a cute Hug-Lovin' Hippo Techno plush. Who would you give this gift to? and i would give it to my niece. I'd love to win the Hug-Lovin' Hippo Techno Plush for my daugher! The Penny Paperheart - Bakeshop mini playset is my fave. The Hug Lovin Hippo is adorable! I'd give this prize to Dom and Hailey. I love the Doggone Sweet Lady and the Tramp plush set, my daughter would be so happy to have. Penny Paperheart - Bakeshop mini playset is so pretty and would be perfect gift for my niece! I like the Doggone Sweet Lady and the Tramp plush set and I would give it to my daughter. The lady and the tramp plush sets. I would give them to Sophie. The Hug Lovin Hippo is so cute. I would give it to my granddaughter. I think the Hug lovin' hippo is adorable! I would give that to my son! The Lady and the Tramp book and plush animals...my daughter would love them! I like Penny Paperheart - Bakeshop mini playset, looks nice. I love the Bastin Heart Memo Pad, you could write notes and leave them all over the house, in lunch boxes, in pockets etc. We're big fans of Lady and The Tramp. My daughter would love them! I like the Love Cup with Marker. I would give it to my husband.